There is something for everyone showing in three great venues. The California Film Festival (CAIFF) is celebrating our 20th year exhibiting a diverse array of films from around the world. The festival has also honored actors and filmmakers including Richard Dreyfuss, Martin Landau, Cloris Leachman, Tony Curtis, Rita Moreno, Diane Ladd, Penny Marshall, Ed Asner, Tippi Hedren, Barry Morrow, and others. The festival takes place at the New Rheem Theatre in Moraga, The Orinda Theatre, and The Castro Theatre in San Francisco. 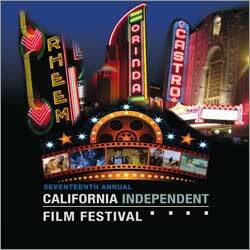 For more information about the festival visit www.caiff.org. Started in 1997, CAIFF is a premier showcase for independent, foreign and mainstream films. CAIFF attracts a world-class audience!